The appointment of a new Head Chef at The King William IV Country Inn & Restaurant in Sedgeford opens another exciting chapter in its culinary agenda. Chris Marshall, 36, took on the role in early July after acting as sous-chef for three years. Building on the Inn’s excellent reputation for tasty, wholesome dishes, Chris is set to bring his innovative skills to the fore – introducing fresh flavours and quirky touches – keeping pace with all the latest food trends, hygiene and kitchen management. Chris, who lives locally in Docking with his young family, has grown up around the kitchen and amongst a family with artistic tendencies – both his Grandmother and Father paint and he helped his Mother, in younger days, who managed the Refectory at Ely Cathedral. 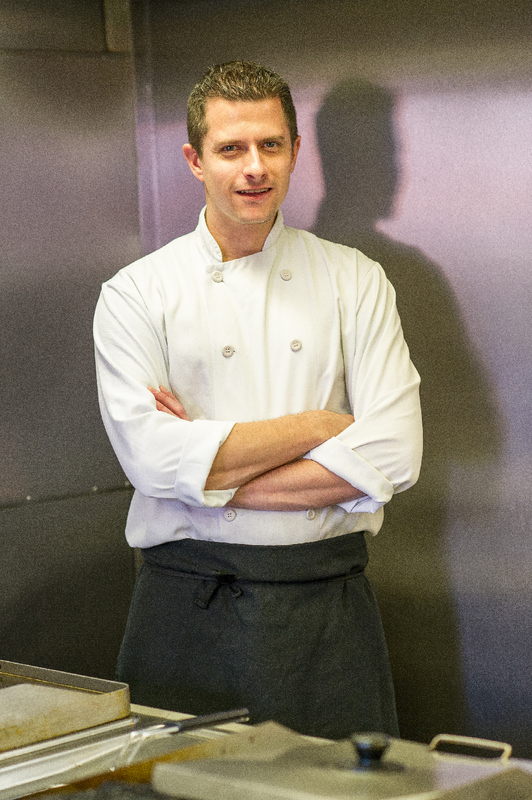 With an interest in cooking firmly established, Chris moved on to study catering at Cambridge Regional College. 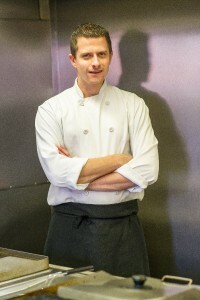 Before relocating to north-west Norfolk, Chris worked as sous-chef at Ely Golf Club followed by the position of Head Chef at the Lamb Hotel, Ely. Owner of The King William, Nick Skerritt, is delighted to hand over the reins to Chris. Chris cites his ongoing interest in photography as a key factor in his imaginative approach to food presentation. With his calm nature and modest determination, King William customers are guaranteed a feast for the eyes and taste buds when sampling Chris’s creations! Check out www.thekingwilliamsedgeford.co.uk for all the latest dining and accommodation news. To book a table and sample the Summer Menu call Reception on 01485 571765. This entry was posted in General News on September 8, 2015 by Lili Skerritt.